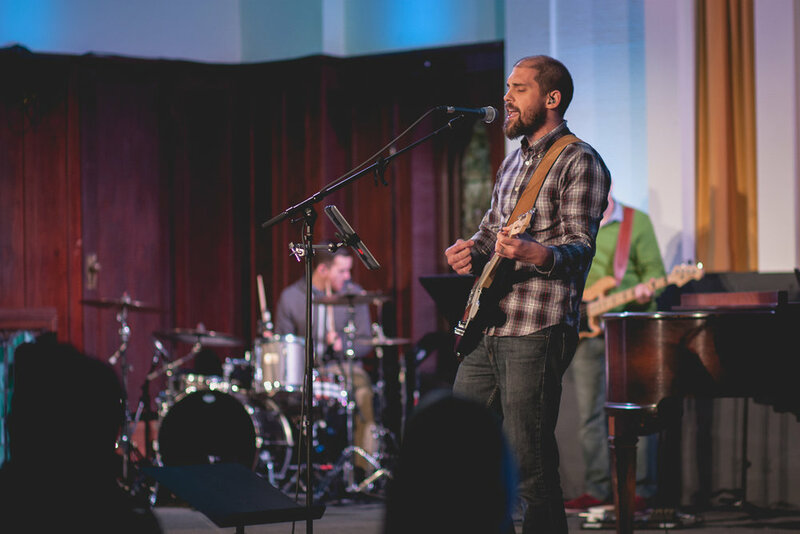 Earlier this month, Resurrection Church had the unique opportunity of hosting an evening of worship and learning that brought together the communities of three Stadium District churches. The event included teaching from First Presbyterian Church, New Community Church, and Resurrection Church; with worship led by musicians from New Community Church. The teaching focused on our call as disciples of Jesus Christ, throughout the South Puget Sound and beyond, to shape and to engage the culture around us. To illustrate this, Pastor Bubba shared the account of St. Patrick, the first missionary Bishop, who engaged the “unreachable” people of the story-loving tribal culture who once held him enslaved, through sharing God's story with them; inviting them in to become a part of it themselves. Samuel, who attended the event with friends Mark and AJ, resonated particularly with the idea of sharing stories. He shared this thoughts: “I think telling a more compelling story is pretty huge in evangelizing. And really telling a story that implies that there’s something more than just being saved… a redemption of our lives and the passion that we have in Christ to share Him with other people."